E-coating masking can cover a pretty wide variety of options, because the heat requirements are generally in the 350°F - 375°F range, and there are a fair number of products that will withstand those oven cure temperatures. Viadon's green poly is 'a cut above' many competitor's tapes, because it is American-Made. The same-day trip from manufacturer to our dock ensures fresh, high-quality tape that will last up to 12 months without degrading in effectiveness. Just store on end in a cool, humidity-controlled location for best shelf life. Viadon slits tape to width in-house, and die cuts tape disks to size, and offers custom-shapes die cutting as well. 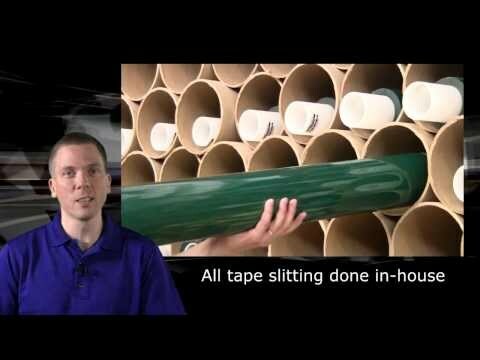 See the video below to watch these processes in action with green polyester tape, along with how Viadon slits the tape to width, die cuts it to size, and how you can get the most out of it when applying it to parts.